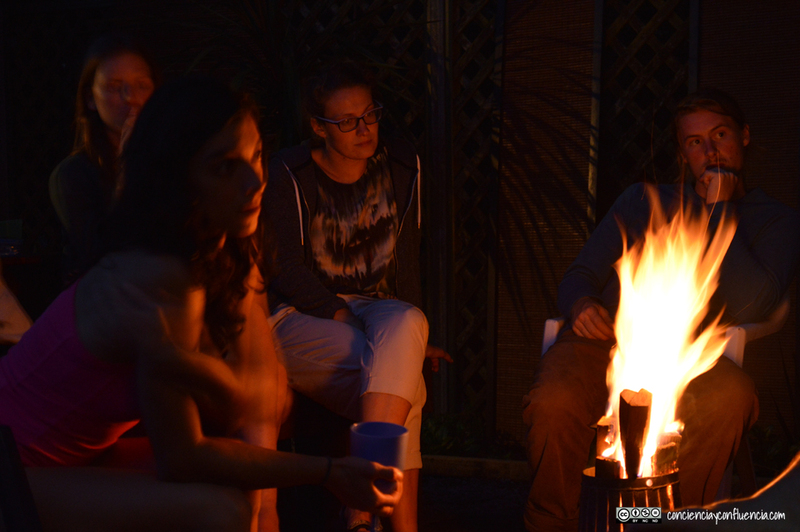 When I think about staying in a backpackers (hostel) many thoughts cross my mind, some of them creating an uncomfortable feeling. 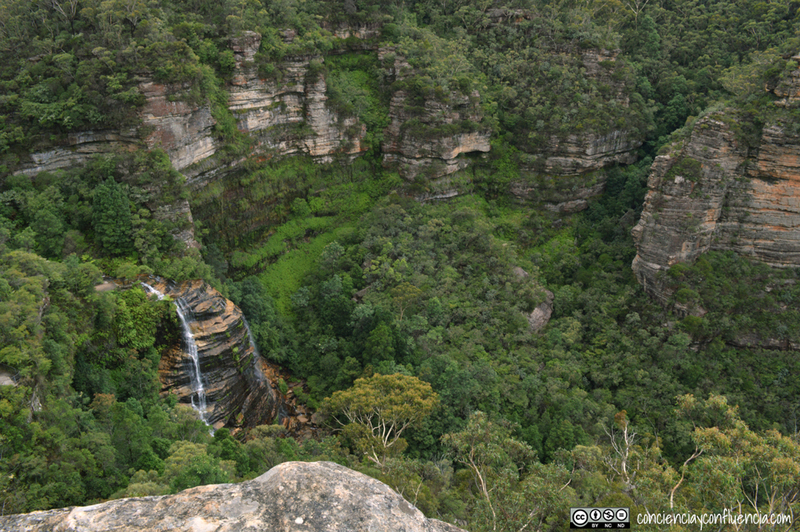 However, when I was in Katoomba (Blue Mountains), I was recommended to visit The Flying Fox Backpackers and after doing a short research on its website my vision changed. Then I felt the impulse to visit this place. Firstly, I was attracted by its vision: “to provide a relaxed and peaceful atmosphere, to cause as little negative impact on the area and to protect the environment. We endeavor to use only earth friendly cleaning products, we recycle all glass, paper & plastic. We use low energy efficient lighting and we remain conscious of our water usage. We encourage our guests to join us as we strive towards a greener sustainable future”. 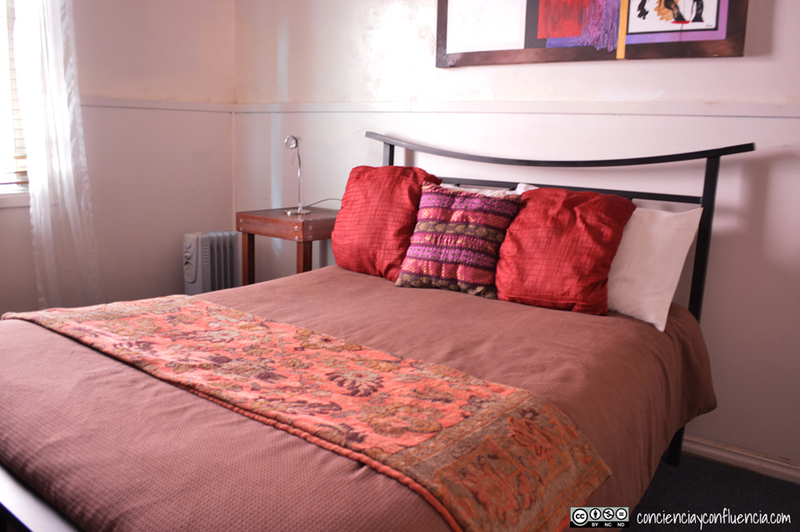 Afterwards I had the opportunity to stay and I could live a charming experience. 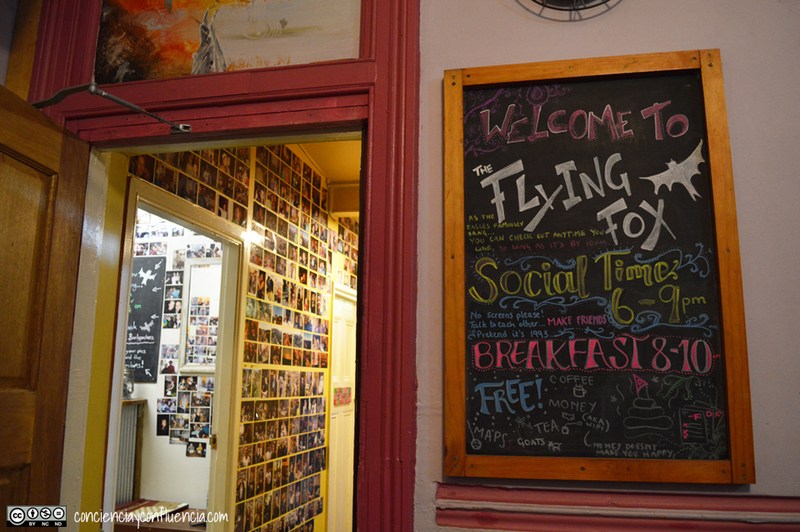 The Flying Fox is the kind of place where strangers become new friends after sharing in front of bonfires, on “family dinners” and “social time”. Instruments, games, yoga, dance, climbing and books are part of its essence, creating the perfect environment for the guests enjoyment. They offer different types of accommodation with breakfast included, so you can stay in a 7 bed (Dorm Room), a triple or a double/twin one, and there is also a camping area for those who prefer stay at their tent. Nowadays, being busy is part of our lifestyle; it seems difficult to dedicate time for contemplation or to get connected with emotions, so we could prefer to avoid it staying focused on our mind, work or other activities. 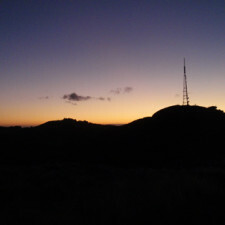 For this reason I deeply appreciated listening “social time, social time, social time” when I tried to get connected on my phone and computer from 6 to 9pm, because on that period if you want to be in the common areas you have to forget technology and enjoy your “here and now” socialising. 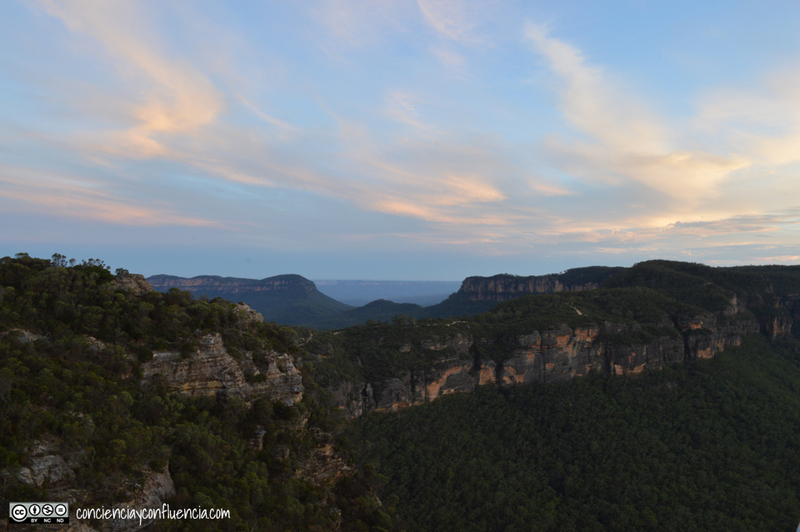 It is true and easy to understand when you read “travellers find themselves returning time and time again to The Flying Fox Backpackers in Katoomba”. For this reason we recommend it into the Responsible Tourism Route promoted by cyC. 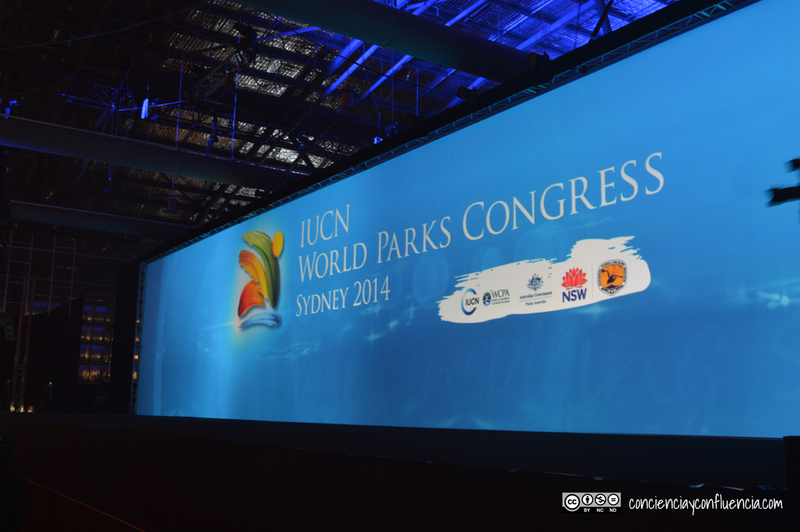 Last November (2014), cyC attended the magnificent IUCN World Parks Congress in Sydney. This outstanding event allowed us to get involved with inspiring people; believers of a world where the enjoyment of protected areas and its well management can be developed together for nature and human well being. The World Park Congress (WPC) is “the decade’s most important forum to identify and communicate inspiring solutions involving protected areas for some of the world’s most pressing global challenges”. In this edition, it had as its main aim “to share knowledge and innovation, setting the agenda for protected areas conservation for the decade to come”. The WPC’s outcome is four pillars encompassed by the “Promise of Sydney”, which is “the foundation for the pathways we can take to, over the next ten years, ensure that protected areas can be perceived as one of the best investments in our planet’s, and our own future”. It includes a vision, innovative approaches, commitments and solutions proposed by governments, international organisations, communities, civil society leaders and indigenious people. It also places the “World Heritage sites as crucial drivers of change, and models of excellence to show how protected areas can succeed as inspiring solutions for nature and people”. 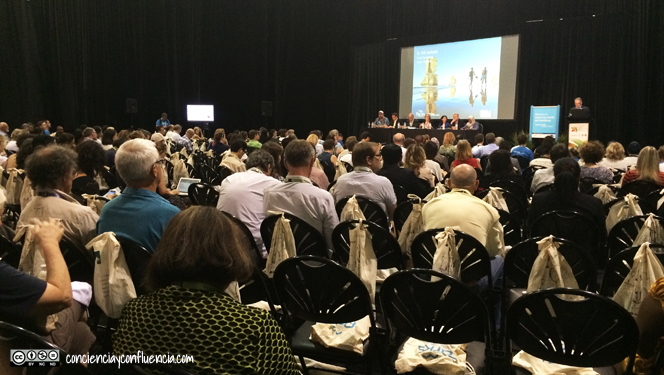 Art, education and intercultural understanding were mixed in the IUCN World Parks Congress to benefit the conservation of protected areas and human well being. It was an opportunity to get involved with organisations, projects and activities to nurture and promote this proposal and, as a consequence, we are proud of our current and potential alliances with organisations from this outstanding event. 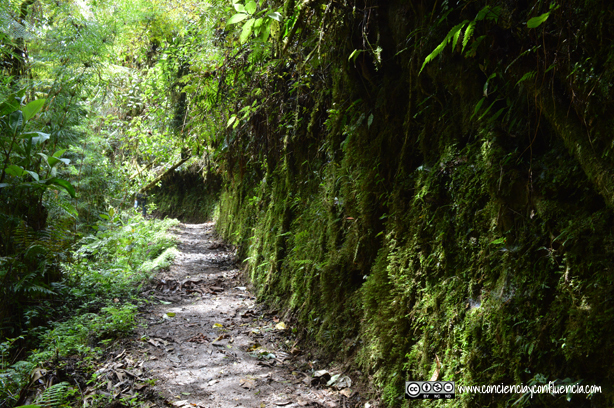 In a magic spot in Peru, at the majestic cloud forest’s entry, we can find characters which mission is focused on protecting native species lodged into this ecosystem. 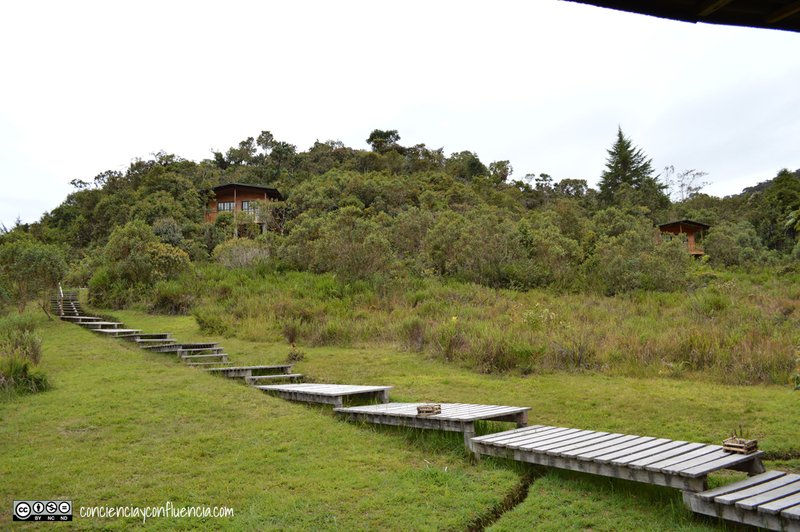 The Education Centre on Conservation and Sustainable Development (Centro de Capacitación para la Conservación y el Desarrollo Sostenible – CDS) is located in the buffer line of Yanachaga Chemillen’s National Park inside of the Oxampapa Ashaninka Yanesha Biosphere Reserve. Florencia Trama and Federico Rizo –with a multidisciplinary professional team specialized in wildlife research and conservation- receive us with a pleasant smile in this centre. 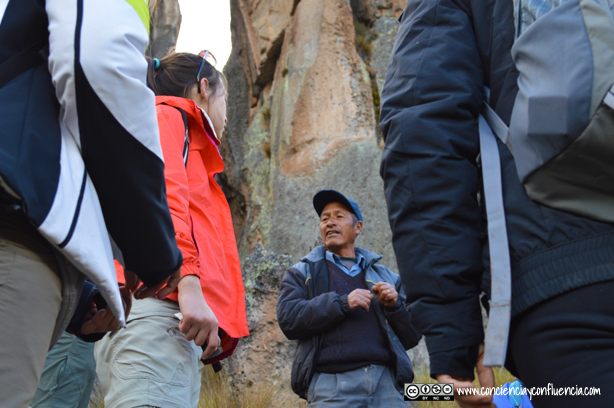 Volunteers, tourists and professionals from all over the world visit the CDS to discover the connected pathways between each project developed in this 16 hectare of land. 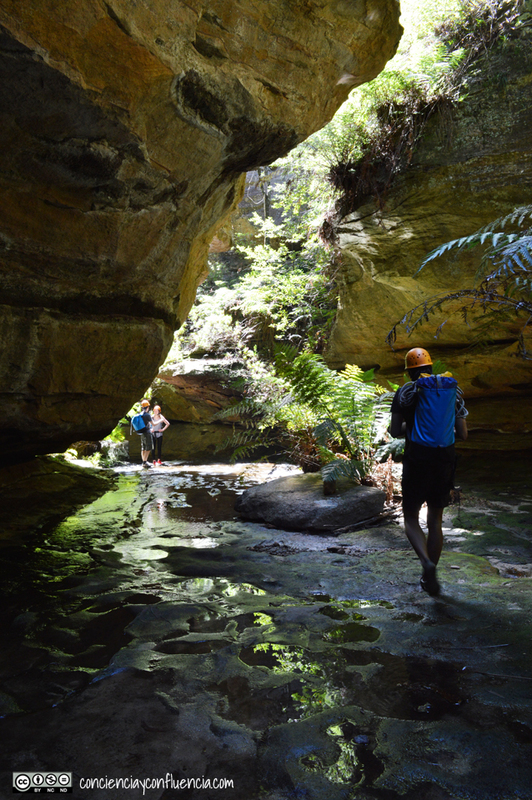 By exploring these passages and some interpretative trails is easy to understand where inspiration is emerging from to transform ideas into conservation’s projects. A clear example of that was a tour we made from the Centre to the National Park, where a wide variety of butterflies created a dreaming experience. That makes us realise the relevance of developing a ‘butterfly vivarium’. A Biosphere Reserve, the National Park, a cloud forest, butterflies and orchids, interpretative trails, an organic orchard and reforestation’s proposals, bio-construction techniques applied in different areas, fostering community engagement for solid waste management improvement, and many other initiatives promoted by CDS, make clear its aim of ‘encouraging a sustainable model of thinking and life while they become a model for replicating’. The CDS offers courses, workshops, internships and volunteer practices to learn and go deeper in conservation’s topics, and to live practical experiences which confirm that it is possible to achieve the desired changes for human well-development and environmental health. Style, sustainability and yoga unite in Yoga Loft Newcastle. The coherence between thoughts, words and actions can be easily understood in YOGA Loft Newcastle. An amazing studio where is easy to develop a sense of community and belonging through its physical structure, classes, philosophy and people. The studio opens 7 days a week and offers a wide range of dynamic classes for those who want to get involve with this practice. 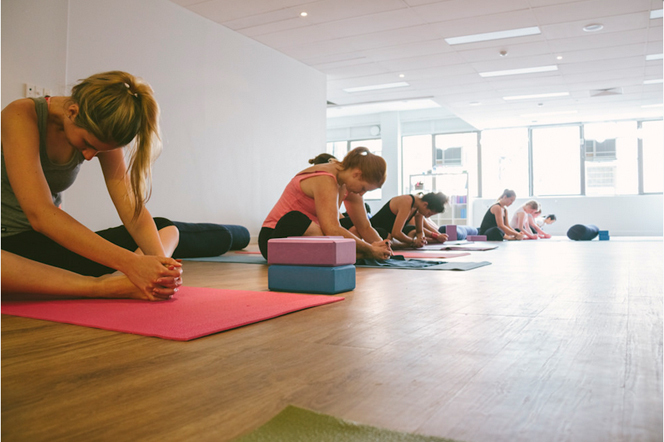 They are specialised in Power Vinyasa Yoga, providing heated classes named ‘Sweat It’ and non-heated ones called ‘Greenies’ which are mainly focused on beginners. They also offer ‘Gen R classes’ (Generation Restoration) suitable for all levels and stages; ‘Sprout’ designed for kids; and ‘Mama Bump’, for expecting mothers. Additionally, they produce at least monthly a workshop to bring information about different well-being’s topics (nutrition, meditation, mindfulness) or to go depth in specific yoga’s subjects to improve your practice. 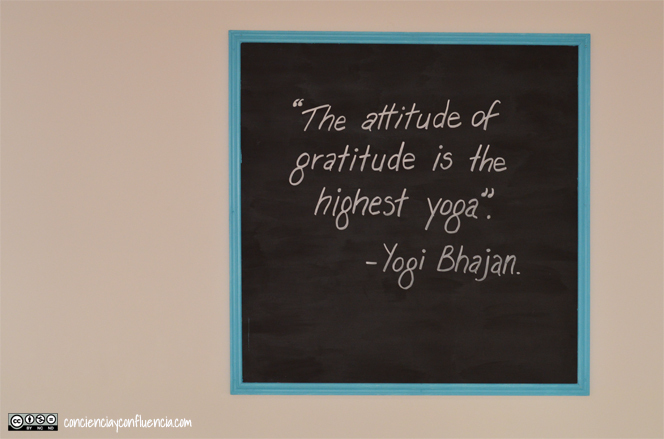 Teachers trainings and retreats are other programs developed by YOGA Loft. 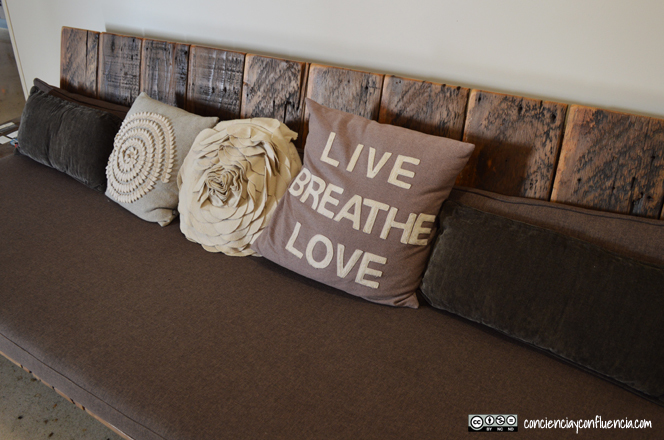 Cveta Jovanoska is a yoga lover who decided to transform her lifestyle by opening YOGA Loft. She was motivated by the dream of creating a studio where people would really like to go and would be possible to develop a strong sense of community. Her interest is embodied in this studio, there national teachers are supported as well as the community. They periodically offer classes where all incomes go to local charities. Unstoppable changes are constantly pushing me to adjust previous plans or paths while I keep focused on my aims. Sometimes everything is happening so fast that it is impossible to assimilate one change when another is about to happen. For this reason, one of my new life’s mantra is ‘Let it Go’, and after I visited Stretch Yoga, my body, mind, and soul learnt a different manner and perspective to understand how to release stress, worries and tensions. 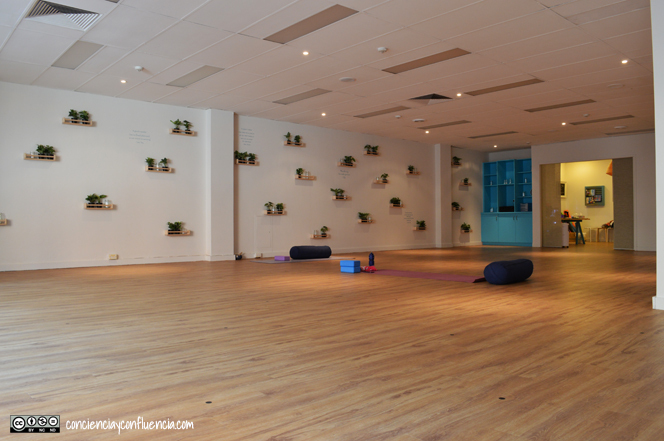 Stretch Yoga is an enchanting studio located at 132 Albert Street in Brisbane City that offers periodic classes, workshops and courses to release physical and mind tensions making you feel “happy, healthy, joyous and calm”. 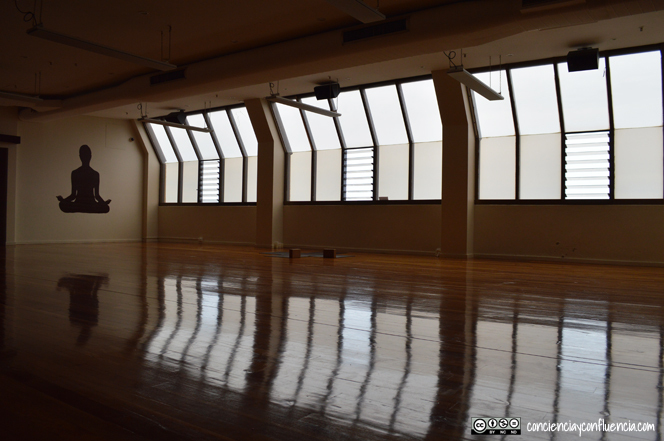 They also bring private and corporate classes that could be attended in the studio or at your workplace. Their classes are focused on a nice, slow and deep ‘stretching’ with 5 different styles to suit different audiences. 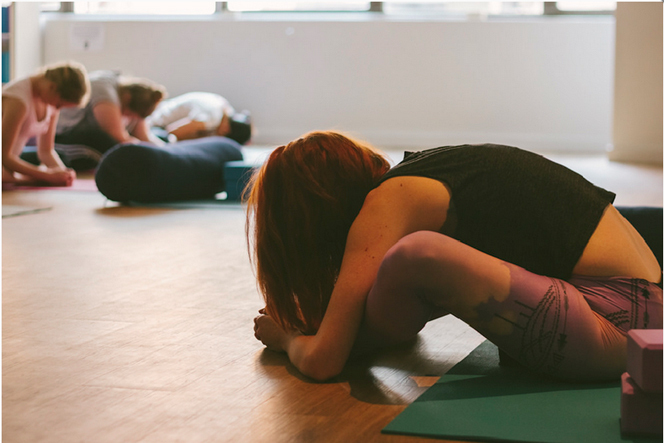 Therefore, if you are a beginner you could attend “Stretch Foundation” classes to work in basics and alignment; if you want to work on your tightest body parts (hips, quads, back, shoulder), exploring a “Deep Stretch’ class is a great option which is based on Yin Yoga style; they also offer traditional Hatha Yoga classes also known as “Simple Stretch”, because is “Simply Perfect”; as well as “Flowing Stretch” and “Strong Stretch”, which are designed for those who are looking for an active style to improve their practice –these classes are also known as Vinyasa Yoga and Power Yoga respectively. Ulcumano is a native tree from Oxapampa that has been cut down for a long period of time. The tree has been salvaged for the house’s construction, and used as the conservation object of this Lodge. Ulcumano Ecolodge is a concept’s embodiment that aims to minimize the impact on this surrounding environment, creating an improved travel experience. The land’s selection and construction have been orientated to develop sustainable tourism and resources management. 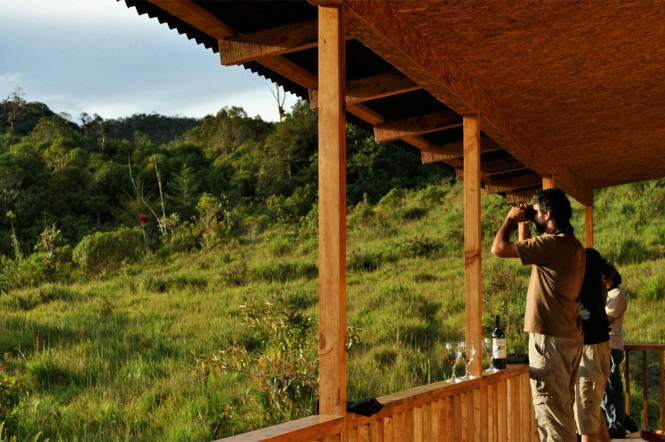 Located in the middle of cloudy forest and having a 51 hectare concession of pristine forest to conservation purposes, this Lodge brings a variety of environmental richness, highlighting landscape, water and an outstanding biodiversity of flora and fauna which has registered about 160 bird species. 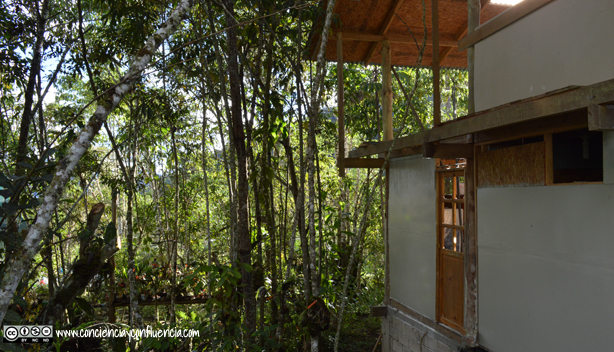 The Ulcumano Ecolodge’s mission is to be an example for local populations to balance the forest’s conservation and economic development in a sustainable manner. 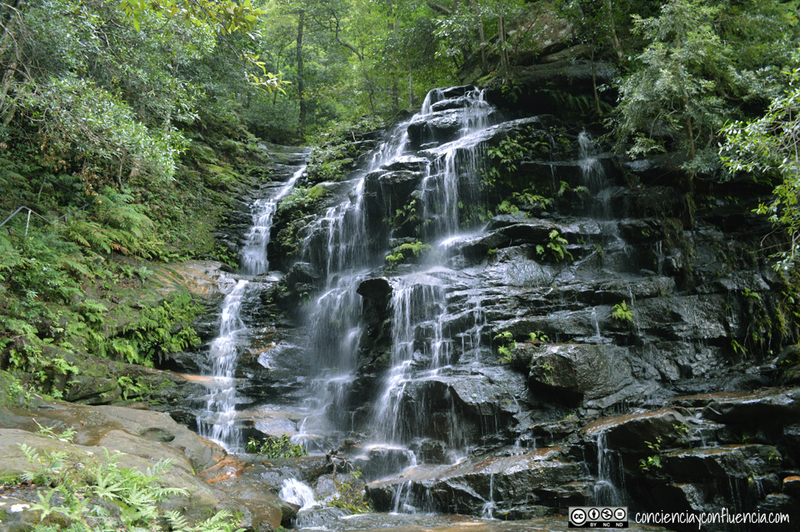 For this reason, Eduardo de la Cadena (its founder), promotes reforestation programs, bird watching and interpretative trails among other services, in order to raise awareness of the importance of the conservation of water resources and species from this ecosystem. 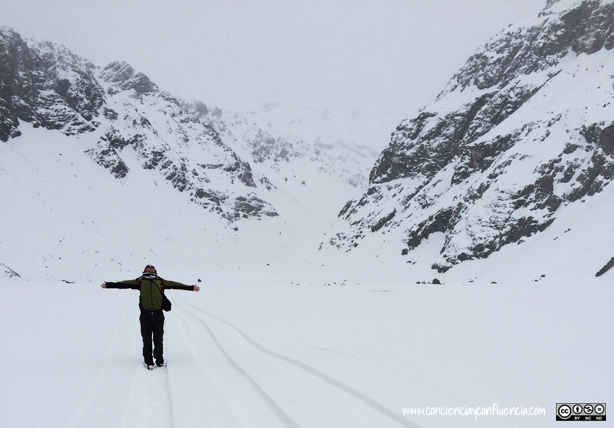 Whilst Eduardo was cycling to Patagonia, he passed through the Province of Oxapampa, which is a current Biosphere Reserve of the Peruvian region of Pasco. The biological, topographic and cultural diversity of the region captured Eduardo’s imagination and made him stop his journey to build there a new dream called Ulcumano Ecolodge. 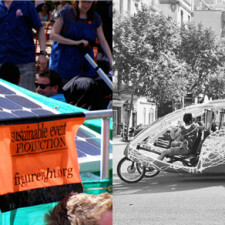 Eduardo is an Engineer of Forestry who specializes in Ecoturism. He worked in Oxampampa as Director of the National Park Yanachaga Chemillén before travelling to Costa Rica and Belize where he found conceptual bases to develop his idea: an infrastructure where people could gain a full ecotourism experience. 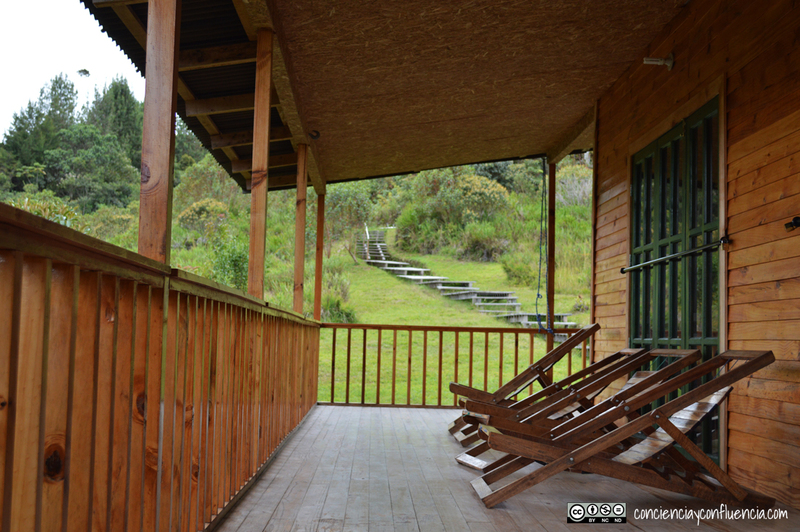 Ulcumano Ecolodge offers a wide variety of activities and tours classified under ‘Tourism of Nature’ and ‘Tourism of Adventure’ labels to those who want to explore this area. 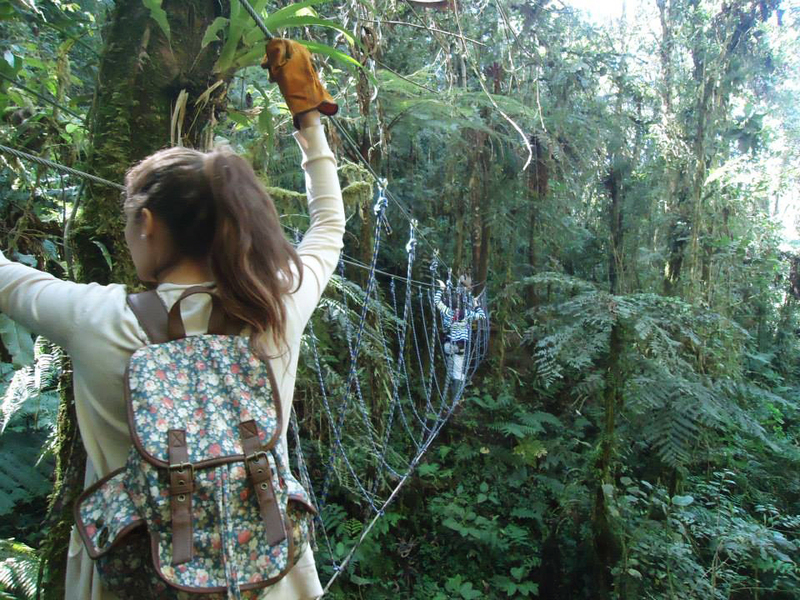 The most outstanding activity available is the unforgettable 1000 meter Canopy Tour of zip line and hanging bridges. Additionally, a personalized service is brought in its 4 double cabins with an overall capacity for 16 people. 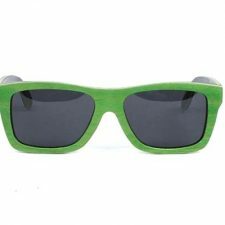 They include hot water and biodegradable products with its 100% recyclable packages. 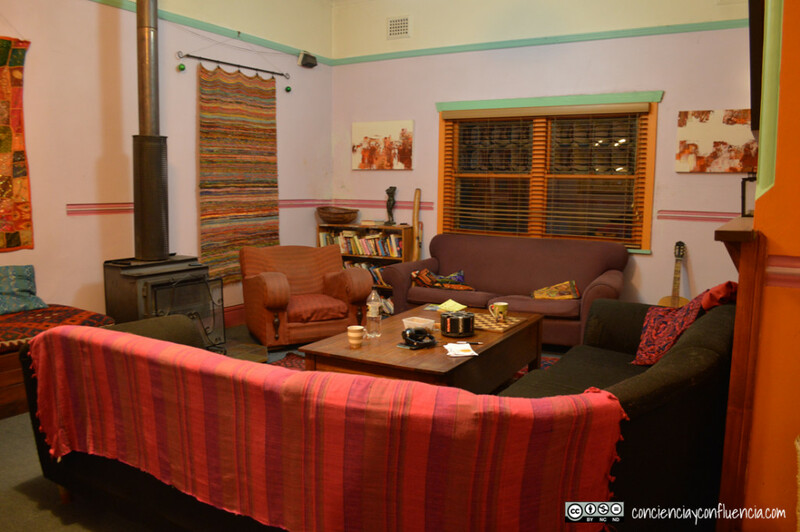 Dinning room, wide balconies and a specialized library are some of the areas where you can enjoy in Ulcumano Ecolodge, which is a reference for socially and environmentally responsible ecotourism development projects. 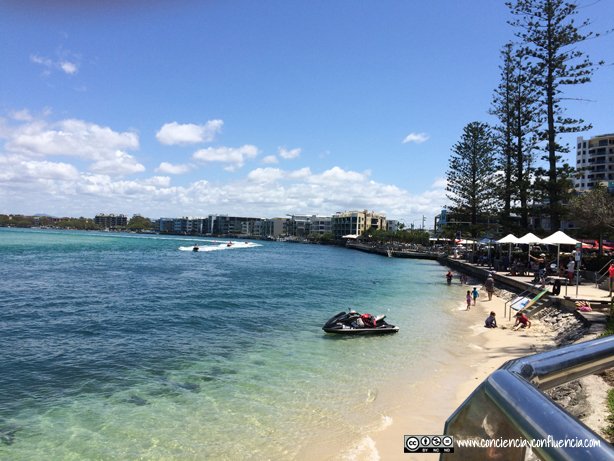 Tourism is one of the most important economic industries in the world, driven by consumer motivations such as pleasure, business or study; it also generates important impacts on ecosystems, culture and social structures of the receptive community. Hence, it makes clear that, there is an inconsistence in the benefits that tourism brings to human well-being, which could be balanced if responsible practices are developed. Based on the hierarchies need’s pyramid proposed by Maslow, we could say that tourism brought humans the opportunity to develop activities to satisfy their love/belonging, esteem and self actualisation needs. 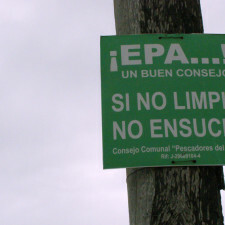 In contrast, the negative impact of those activities on natural and social resources, landscape and culture have an affect in short term on communities, and in medium and long term the planet’s biodiversity; decreasing possibilities to satisfy basic needs such as physiological, safety and security health. Therefore, it is essential to promote responsible tourism practices involving receptive communities, services providers and tourists. Owing to this reality, there is a new type of respectful and sensitive tourist that is looking for better understanding of cultures and ecosystems; visiting unconventional destinations while creating transcendent experiences. 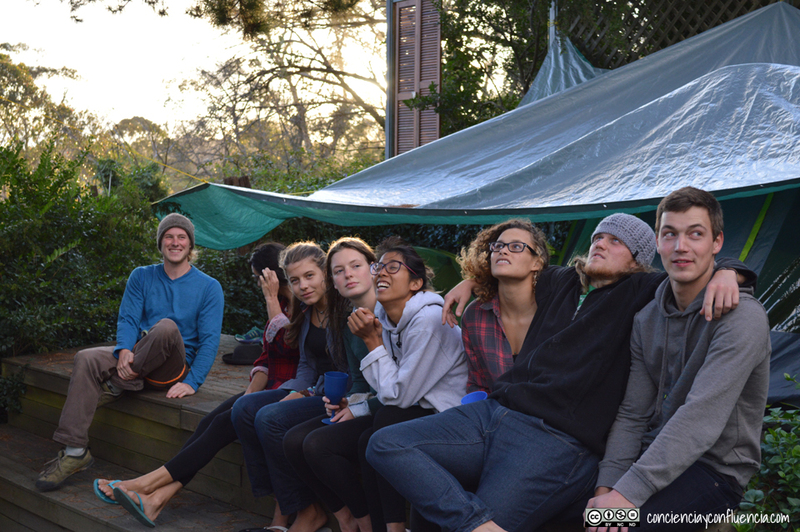 They are trying to learn about new cultures from an intercultural perspective, where their approach to host communities’ livelihood and with the conservation of protected areas is an important attribute for their travel experience. As well as this, there are services providers interested in the conservation of cultural heritage and biodiversity of the receptive communities where they are developing their practices. In other words, the worldwide trend of this industry aims to develop their practices towards inclusive and sustainable tourism, where its planning, implementation and later stages bring knowledge to conserve and improve the ecological, biological and cultural quality of destinations. This is a progressive track to advance, where it is necessary for a constant commitment to social and environmental responsibility. To speak about responsible tourism it is necessary to take into account the characteristics of destination, community and practices developed by services providers and tourists. It has to be sensible and tolerant. Sensible, because it supports environmental politics of locality and social surroundings; also it encourages human rights and international labour agreements. Tolerant, because it invites passive tourists to become active ones, integrating them with cultural and natural scope. Responsible tourism transforms the tourism activities into a learning experience about the livelihood and customs of destinations, in order to create an added value of travels. 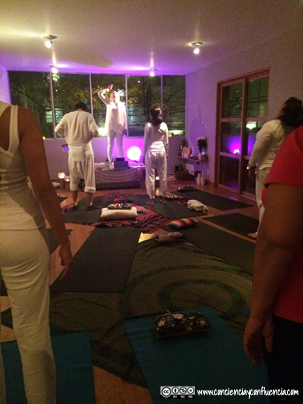 Punto Om Yoga is a centre located in San Isidro District of Lima, a Unesco World Heritage Site, which brings an enriching experience to connect with your inner self. They offer regular classes for kids, multi-level and for seniors that can be given in Spanish, English and German, depending on participant’s needs. 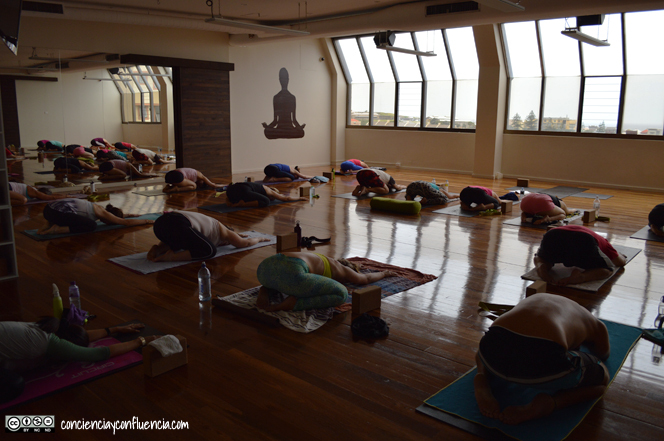 Also, they have special classes of Kundalini, Ashtanga, Power Yoga, Vinyasa Flow and meditation; and workshops such as: Introduction to Kundalini’s energy, Chakras and Discovering your Inner Voice. 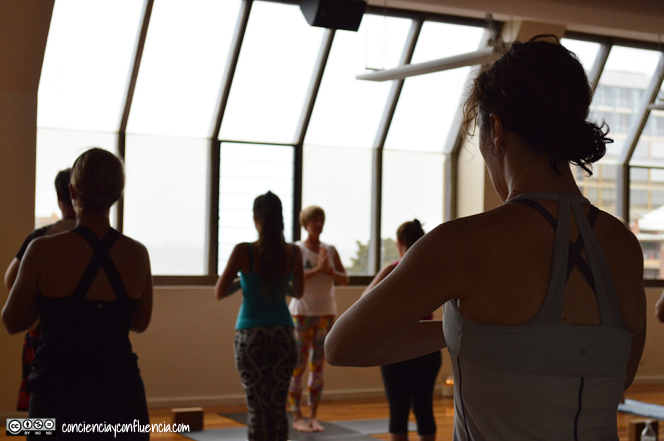 Jennyfer Vallenas is a lawyer who has been dedicated to the yoga practice for more than 3 years. 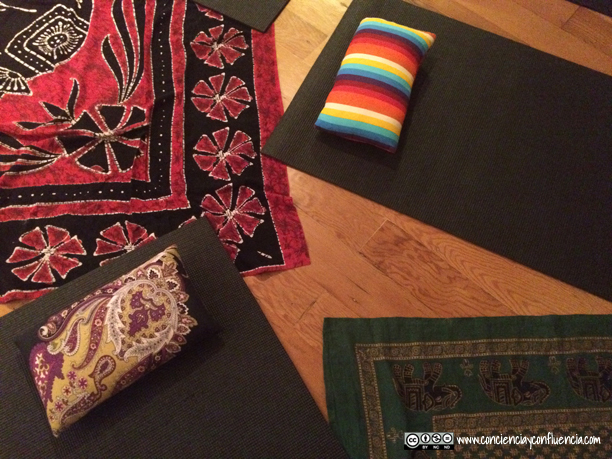 She attended a Power Yoga teacher training with Fred Bush and started sharing her learning with her friends. 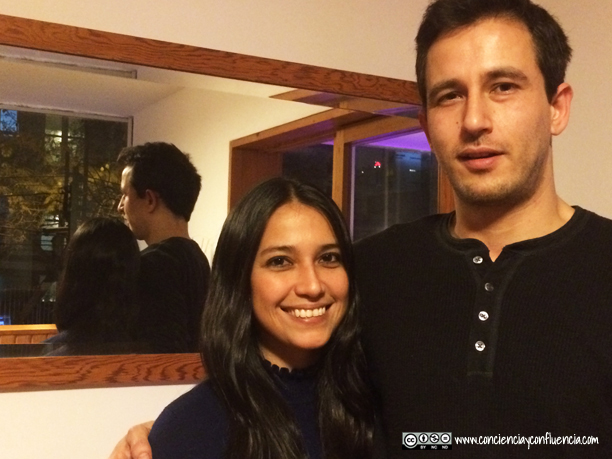 Jennyfer, accompanied by Marco Helm, founded Punto Om Yoga, a cosy space that opened last May. Marco has experience in Ashtanga Yoga and has expressed interest in being a yoga centre wide open to share different kinds of knowledge to achieve inner development. 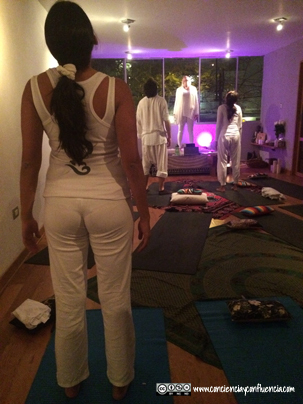 Jessica Venegas is the instructor in charge of Kundalini classes. She commented that this kind of yoga was “the most reserved by Oriental elitist caste, therefore it didn’t arrive in the West until 20 years ago through Yogi Bhajan. Kundalini is called Yoga of Consciousness because it looks for mental, spiritual and emotional transcendence… Through yoga you can learn how to manage the energy to prevent sickness and low emotions; you can be aware of your body, emotions and soul while they are working together”. Jennyfer and Marco enjoy working through Synergy Yoga schemes without labelling the centre in that style. 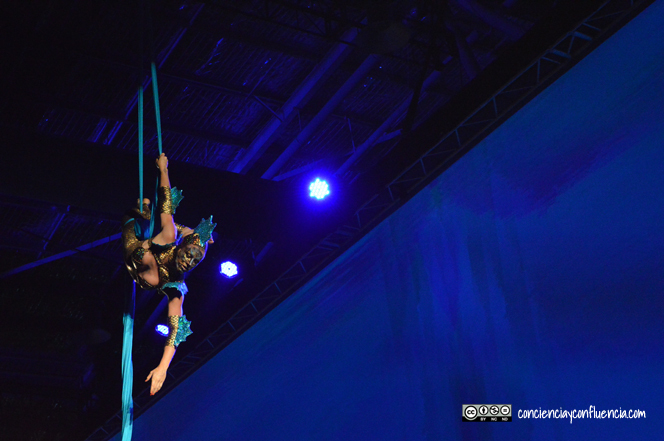 It helps to integrate participants through circular dynamics such as games, stretching, AcroYoga and Thai Masage. 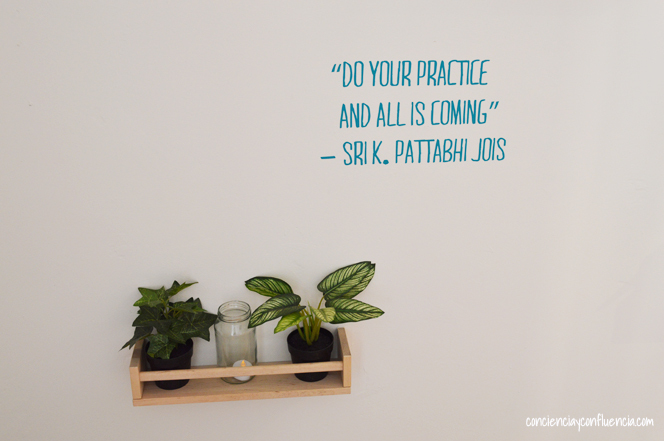 Punto Om Yoga is a centre where participants and instructors are crossing a path together …a path where everybody is learning.